In 1995, Tol and Rozendaal described this species base on specimens collected from Bach Ma National Park, Thua Thien Hue Province. Recently, this species also were recorded in Khanh Hoa Province and it made their distribution had been known wider to the south of the country. They are small damselflies, with nearly unicolour body. The head is dull black; the thorax is dark with red dark brown marking and yellow strip marking on lateral side of the synthorax. Legs of male are black, with white inner side tibia of middle legs. In male, fore wings are hyaline but hind wing hyaline with an iridescence area at tip. And in the iridescence area, there is a distinct apical metallic blue flash spot. Females are fader than males with dusk hyaline wings. This damselfly was found in the centre to south of Vietnam in the forests on high mountains with elevation from 700 to more than 1000m. They are found next to shaded clean streams in pristine forests; usually share their habitat with D. cyanocephala. Particularly we found them in Hon Ba Nature Reserve, Khanh Hoa province as they were flying in the jungle at the coming out area of underground streams. 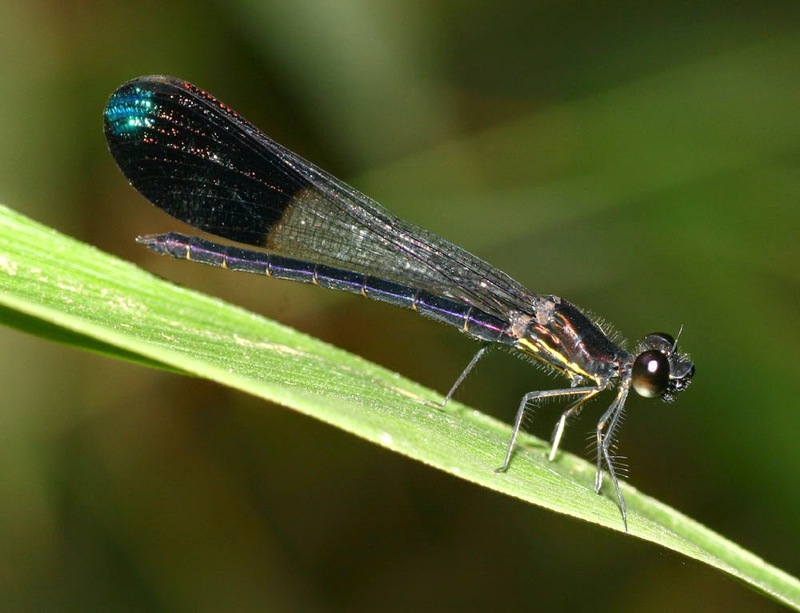 The damselfly is somehow active species, males usually perch middle or high above that water surface but they do not fly far from breeding sites, where are clean and swift flowing streams.